Giovanna is using Smore newsletters to spread the word online. The Texas State Capitol , located in Downtown Austin, is the fourth building to house the state government of Texas. The capitol building contains the chambers of the Texas Legislature and the office of the governor. Originally designed in 1881 by Elijah E. Myers, it was constructed from 1882 to 1888 under the direction of civil engineer Reuben Lindsay Walker.The building was added to the National Register of Historic Places in 1970 and recognized as a National Historic Landmark in 1986.The Texas State Capitol is 308 ft (94 m) tall making it the sixth tallest state capitol and one of several taller than the United State Capitol in Washington, D.C. In Austin has hot air balloon. Hot Air Ballooning is our passion. 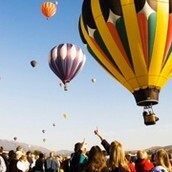 Let us launch you into the majestic world of hot air ballooning. Experience the sheer joy of the oldest and most romantic form of aviation in the world. The incredible feeling of time suspended as the world drifts quietly below you. It's something you will never forget. Bonham is a city in Fannin County, Texas, United States. The population was 10,127 at the 2010 census. 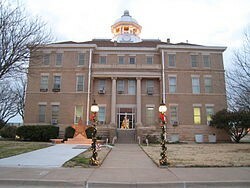 Bonham is centrally located in Fannin County in Northeastern Texas, about 12 miles (20 km) south of Oklahoma. Lake Bonham Recreation Area has to offer or, spend the day shopping at Trades Day. The Sam Rayburn House and Library are open daily during the summer or enjoy a stroll through the Fannin County History Museum. You can do activities include swimming and fishing in the man-made lake, built in 1935, as well as camping, picnicking, mountain biking and boating. If you plan to swim at the park. The City of Wichita Falls, TX is comfortably nestled in the North East corner of the Panhandle/Plains area of North Texas. Wichita Falls is an economically progressive city, home to commerce and industry with worldwide interests. By most accounts, Wichita Falls can be summed up in two words - pleasant and comfortable. This is a family-oriented city conveniently located within two hours of major metropolitan areas: Dallas/Ft. Worth and Oklahoma City. Wichita Falls is linked to major cities in the region by Interstate 44, US Highways 82, 281, 277, 287 and Texas State Route 79. Wichita Falls has a population of approximately 107,000, is the county seat of Wichita County and is considered the population hub of North Texas. Thousands of additional people outside Wichita Falls commute into the city daily for work, shopping and entertainment. Quanah is a city in and the county seat of Hardeman County, Texas, United States. As of the 2000 census, the city population was 3,022. History: Quanah was organized in 1884 as a stop on the Fort Worth and Denver Railway. The city is named for Quanah Parker. The courthouse, constructed in 1908, anchors what is now the historic downtown district. The courthouse in Quanah, named after the last Commache chief, is engraved. The courthouse was financed by a bond election approved by voters in 1906. 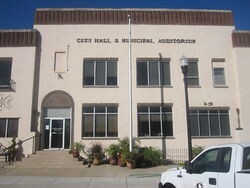 The project architect was R.H. Stuckey of Chillicothe, Texas. The name El Paso is from Spanish, that means "the pass". As of July 1, 2013, the population estimate from the U.S. Census was 674,433, making the 19th most populous city in the United State. For thousands of years, people have trekked to these rock hills in far west Texas. In earlier times, they came for the rainwater pooled in natural rock basins, or huecos (“whey-coes”). Visitors today marvel at the imagery left by those ancient people. At Hueco Tanks, you can hike, rock climb, bird watch, study nature and history, picnic and stargaze. Visitors can take guided and self-guided tours to view rock imagery. Presidio is a city in Presidio County, Texas, United States. Presidio means garrison or fort in Spanish, which is what the town of Presidio originally was in colonial times. Presidio is located near the confluence of the Rio Conchos and the Rio Grande. 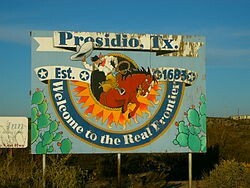 Presidio, Texas was established in 1683 A.D. but has been inhabited since 1500 B.C. The population was 4,167 at the 2000 census, and had increased to 5,106 as of the 2010 US census. Big Bend National Park is the most popular attraction in the Presidio area. River rafting in the Rio Grande is a popular activity. Presidio is also a popular jumping off point for tourists heading into Mexico's Copper Canyon. Amarillo is the fourteenth most populous city in the state of Texas, also the largest City in the Texas Panhandle, and the seat of Potter County. Large ranches exist in the Amarillo area: among others, the defunct XIT Ranch and the still functioning JA Ranch founded in 1877 by Charles Goodnight and John George Adair. Canadian is a city in and the county seat of Hemphill County, Texas, United States. Canadian is on the eastern side of the Texas Panhandle adjacent to Oklahoma. The population was 2,649 at the 2010 census. It is named for the Canadian River, a tributary of the nearby Arkansas River. Canadian had a Baptist academy. Robert Moody (1838–1915), a banker, rancher, and academy trustee, built the Moody Hotel downtown to reflect on the future of the community.